Making sure that you rotate your tyres on a regular basis achieves uniform wear and maximises the tread life of your tyres, which can save you money and potential hassles down the road. It is recommended by tyre manufacturers that you rotate your vehicle’s tyres at least every ten thousand kilometres, or every six months, whichever comes first. A tyre rotation is the moving, or rotating of tyres from one fitment position to another on your vehicle in a systematic way. This helps to equalise front-to-rear and side-to-side wear rates and wear patterns to the benefit of longer life and lower tyre noise. Front and rear tyres are subject to different operating conditions. Tyres on driven wheels will wear more quickly than those on non-driven wheels. Front tyres which are responsible for steering the vehicle will as a result wear in a manner that the rears may not. Regular tyre rotations and basic maintenance ensure positional wear influences are reduced resulting in more even wear. Replacing tyres in complete sets allows you to maintain the original handling balance of your vehicle. If despite rotating tyres every 10,000km you’re still noticing uneven wear patterns more frequent rotations may be required. 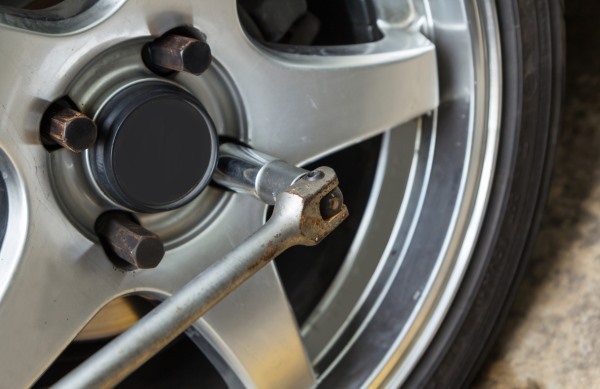 It should be noted that wear problems caused by worn mechanical parts or incorrect tyre inflation pressures cannot be rectified through a tyre rotation. A BestDrive technician can explore other possible causes for you, including improper inflation pressure and misaligned wheels. Regular tyre rotations at your nearest BestDrive store are beneficial as they preserve tyre wear, enhance balance, handling and traction. They allow your vehicle’s tyres to operate in a number of different wheel positions, allowing for more even wear, which can save you money in the long term. BestDrive. You drive, we care. The inconvenience and potential safety issues arising from a roadside flat are significant. For best vehicle handling, all 4 tyres should be the same, have the same tread depth and be inflated to specifications.